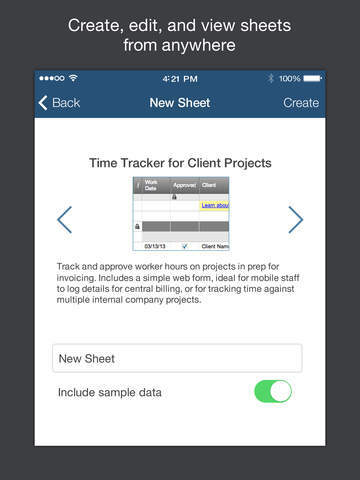 Smartsheet for iPhone/iPad is a mobile companion to the online work collaboration tool. It combines a familiar spreadsheet interface with file sharing, automated workflows, and interactive Gantt charts. 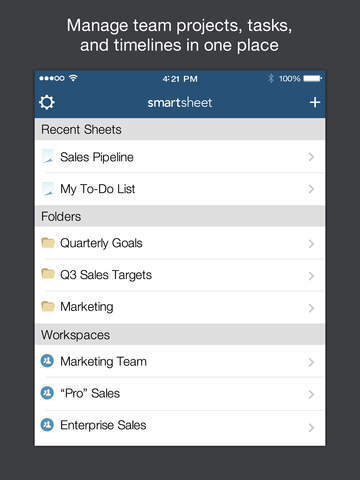 From complex processes to simple task lists, you have the flexibility to manage any kind of work – and it’s easy to start your own free trial Smartsheet account directly in the app. Invite your team and change the way you work today. — Spreadsheet Easy: Instantly familiar, so everyone on your team "gets it" and hits the ground running. With one centralized, always-available tool, you’ll work smarter, not harder. — Works Your Way: Flexible to manage any kind of work — from simple task lists to complex processes. 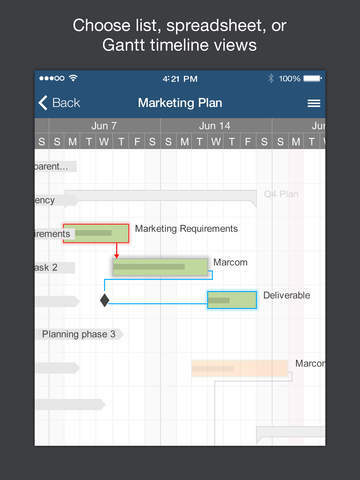 Attach files, set alerts, automate workflows, view Gantt charts and more. — Scales Quickly: Smartsheet delivers the security, integrations, and controls that exceed corporate requirements. User embraced, IT approved. Start by importing your existing files or pick from one of our dozens of templates and modify any of them to suit your needs. Compatible with iPhones and iPads running iOS 7.0 or later.